With the Holiday season right around the corner it's time to stat thinking about gifts. If you are looking to wow your family or another family this Christmas I think you should take a look at the LG OLED TV. This TV is absolutely fantastic, the picture quality is one of the best out there and the technology features it has will come in handy when trying to keep up to date on social media and news. The LG OLED TV, featuring picture quality including Infinite contrast ratio and stunning color that delivers a greater sense of realism and depth, enhanced color range and accuracy, super thin design and the intuitive webOS™Smart TV interface that lets you find content faster. Your first kiss. A baby's first steps. The majesty of a desert sunset. Some things in life defy all explanation and must be experienced to be believed. You can stream all this directly to your TV to capture those moments on the big screen. That is the case with LG's latest display technology. With deeper and richer colors, stunning contrast and ingeniously curved screens, it is unlike any technology you've ever seen, and it delivers a picture that exceeds your wildest imagination. Have you gone to Best Buy and taken a look at this TV? 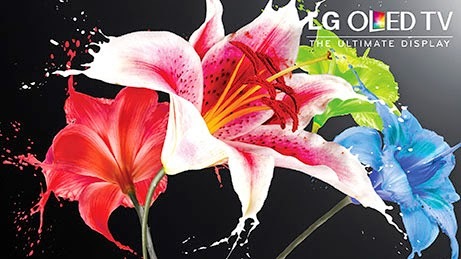 What is it about the LG OLED TV that caught your attention?